The stock market’s recent gains have at least three plausible explanations: corporate earnings growth, the prospect of tax reform, and deregulation. Tax reform and deregulation are stated priorities of the Trump Administration and have the potential to lift the economy and generate additional earnings. Investors obviously like that prospect, though regulation itself is a tool used subversively by crony capitalists to stifle competition in their markets. Conceivably, some of the large firms that dominate major stock indices could suffer from deregulation. And I have to wonder whether the economic threat of Trumpian trade protectionism is not taken seriously by the equity markets. Let’s hope they’re right. It’s no mystery that high taxes and tax complexity can inhibit economic growth. Let’s face it: when it comes to productive effort, we can all think of better things to do than tax planning, crony capitalist or not. The same is true of regulation: the massive diversion of resources into non-productive compliance activities stifles innovation, growth, and even the stability of the status quo. Regulation creates obstacles to activities like new construction and the diffusion of telecommunications services. And it discourages the creation of new products and services like potentially life-saving drugs and slows their introduction to market. The sheer number of federal regulations is so spectacular that one wonders how anything productive ever gets done! Patrick McLaughlin of The Mercatus Center and several coauthors tell of “The Impossibility of Comprehending, or Even Reading, All Federal Regulations“. Regulation is more than a mere economic burden. It is the product of an administrative apparatus that is not subject to the checks and balances that are at the very heart of our system of constitutional government. That is a threat to basic liberties. Barry Brownstein offers an instructive case study of “The Tyranny of Administrative Power” involving violations of property rights in New Hampshire. The case involves the administrative machinations surrounding an installation of high-power lines. Governmental efforts to spur innovation ordinarily take the form of spending on research, subsidies for certain technologies or favored industries (e.g., alternative energy), and large government programs dedicated to the achievement of various technological goals (e.g., NASA, DARPA). Together with regulatory rules that influence the allocation of resources, these governmental efforts are called industrial policy. An unfortunate recent example is Trump’s decision to retain the renewable fuel standard (RFS), but on the whole, industrial policy does not seem central to Trump’s effort to stimulate innovation. It’s clear that a deregulatory effort is well underway: the so-called “deconstruction of the administrative state” hailed by Steve Bannon not long after Trump took office. First came Trump’s 2-for 1 executive order (also see here) requiring the elimination (or modification) of two rules for every new rule. In the Wall Street Journal, Greg Ip writes about changes at the FDA and the FCC that could dramatically alter the pace of innovation in the pharmaceutical and telecom industries. (If the link is gated, you access the article on the WSJ’s Facebook page.) Speedier and less burdensome reviews of new drugs will greatly benefit consumers. An end to net neutrality rules will support greater investment in broadband infrastructure and access to innovative services. There is a new emphasis at the FCC on enabling innovative solutions to communications problems, such as Google’s effort to provide cell phone service in Puerto Rico by flying balloons over the island. The Trump Administration is also reining-in an aggressive EPA, the source of many questionable rules that weaken property rights and inhibit growth. (Again, the RFS is a disappointing exception.) Health care reform could offer much needed relief from overzealous insurance regulation and high compliance costs for physicians and other providers. But deconstructing the administrative state is hard. 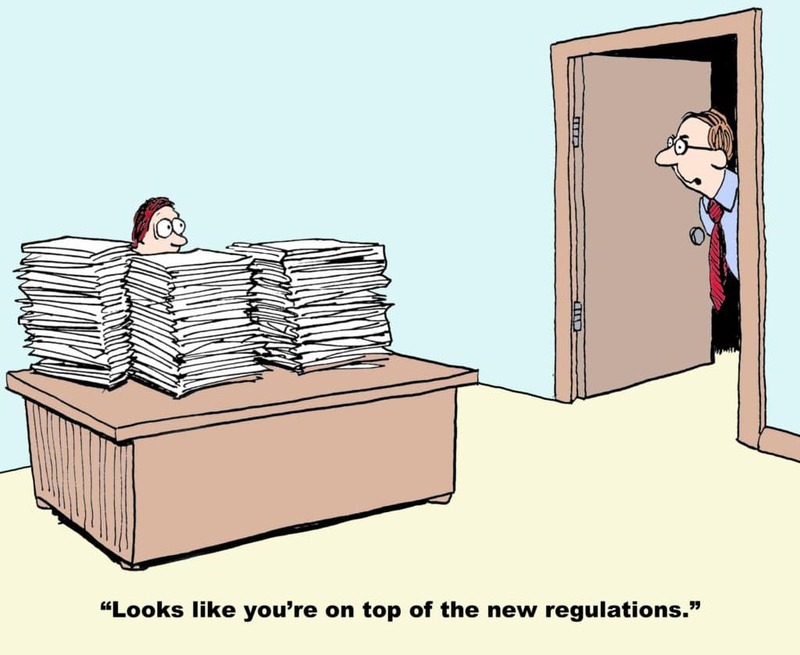 Regulations just seem to metastasize, so deregulatory gains are offset by continued rule-making. This is partly from new legislation, but it is also a consequence of the incentives facing self-interested regulators. With that in mind, it’s impressive that regulation has not grown, on balance, thus far into Trump’s first year in office. According to Patrick McLaughlin, zero regulatory growth has been unusual going back at least to the Carter Administration. In quoting McLaughlin, The Weekly Standard says that Trump might well earn the mantle of “King of Deregulation“, but he has a long way to go. Brookings has this interactive tool to keep track of his deregulatory progress. One item on the Brookings list is the President’s intention to withdraw from the Paris Climate Accord. That represents a big save in terms of avoiding future regulatory burdens. I can’t help but be wary of other avenues through which the Trump Administration might regulate activity and undermine economic growth. Chief among these is Trump’s negative attitude toward foreign trade. Government interference with our freedom to freely engage in transactions with the rest of the world is costly in terms of both foreign and domestic prices. With something of a history as a crony capitalist himself, Trump is not immune to pressure from private economic interests, as illustrated by his recent cow-tow to the ethanol lobby. Nevertheless, I’m mostly encouraged by the administration’s deregulatory efforts, and I hope they continue. The equity market apparently expects that to be the case. That’s Jeffrey Tucker on Obamacare. Conversely, coercive force is incompatible with a free society. Tucker, no fan of President Donald Trump, writes that the two recent executive orders on health coverage are properly framed as liberalization. The orders in question: 1a) eliminate federal restrictions on the sale of so-called association health insurance plans, including their availability across state lines; 1b) remove the three-month limitation on coverage offered under temporary policies; and 2) end insurer cost-sharing subsidies for policies sold to low-income (non-Medicaid) segments of the individual market. The most immediately impactful of the three points above might be 1b. These temporary policies became quite popular after Obamacare took effect, at least until the Obama Administration placed severe restrictions on their duration and renewal in 2016 (see Avik Roy’s post in Forbes on this point). Trump’s first order rescinds that late-term Obama order. The short-term policies are likely to become popular once again, as things stand. 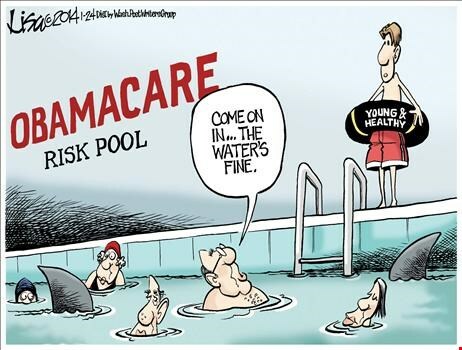 Small employers can avoid many of the Obamacare rules and save significantly on premiums using temporary policies. “In the words of USA Today: the executive order permits a greater range of choice ‘by allowing more consumers to buy health insurance through association health plans across state lines.’ … The key word here is ‘allowing’– not forcing, not compelling, not coercing. Allowing. The elimination of insurer cost-sharing subsidies might sound like the most draconian aspect of the orders. Those subsidies were designed to keep the cost of coverage low for consumers with low incomes, but the subsidies are illegal because the allocation of funds was never authorized by Congress. And contrary to what has been alleged, eliminating the insurer subsidies will have virtually no impact on low-income consumers. First, a large percentage of them are on Medicaid to begin with, not the exchanges. Second, tax-credit subsidies for low-income consumers are still in place for exchange plans, and they will scale based on the premium charged for the “silver” plan (also see Avik Roy’s link above). Taxpayers will be on the hook for those increased subsidies, as they were for the insurer cost-sharing payments. The exchange market will be weakened by the executive orders, but it has been in a prolonged decline since its inception. Relatively healthy consumers will have opportunities to buy more competitive coverage through short-term policies or association plans, so they are now more likely to exit the risk pool. Higher-income, unsubsidized consumers are likely to pay more for coverage on the exchanges, particularly those with pre-existing conditions. As premiums rise, some of the healthy will simply forego coverage, paying the penalty instead (if it is enforced). Of course, the exchange risk pool was already risky, coverage options have thinned, and premiums have been rising, but the deterioration of conditions on the exchanges will likely be hastened under Trump’s executive orders. Dismantling some of the restrictions on health insurance choice, which were imposed by executive order under President Obama, could prove to have been a stroke of genius on Trump’s part. As a negotiating ploy, Trump just might have maneuvered Republicans and Democrats into a position from which they can agree … on something. The new orders certainly give emphasis to the deterioration of the exchange markets. The insurers probably viewed the cost-sharing subsidies as a better deal for themselves than having to recoup costs via risky and controversial rate increases, so they are likely to pressure Congress for relief. And higher-income consumers with pre-existing conditions will face higher premiums but won’t have new choices. They will be a vocal constituency. So perhaps we have conditions that might foster a compromise, at least one that could win enough votes to fix the insurance markets. Goodman contends that a plan originally attributable to John McCain, and now in the form of the Pete Sessions/Bill Cassidy-sponsored Patient Freedom Act, could be the answer. It would create something like a Universal Basic Health Allowance, in the form of a tax credit, funded by eliminating all current federal spending on health care (excluding Medicare and Medicaid). Those with pre-existing conditions would purchase coverage the same way as others, but the plan would give insurers a strong incentive to retain them. According to Goodman, a “health status risk adjustment” would assure actuarially-fair pricing by forcing an existing insurer to pay the adjustment to a new insurer when sick individuals change their insurance plans. It would be a miracle if Congress can successfully grapple with the complexities of health care reform in the current legislative session. However, Trump’s executive orders have improved the odds that some kind of agreement can be negotiated to address the dilemma of the failing exchanges and coverage for pre-existing conditions. Let’s hope whatever they negotiate will leverage consumer choice and free markets. Trump’s orders are a step, but only one step, in reestablishing the patient/insured as a key decision maker in the allocation of health care resources. I’m following up on an earlier post with a few thoughts on two topics: the “unexpected” harms of affirmative action and the left’s unwitting promotion of inequality via restrictive housing policies in many American cities. I mentioned both policies last week without much elaboration in “American Homicide Rates: Which America?” Both are efforts by government to apply centralized decision-making to complex social issues. Both reflect misdiagnoses of the problems they seek to address. Both are coercive and dismissive of the power of free individuals to help themselves and the power of markets to solve social problems. And both kinds of policies are failures. Whether government is prescribing the rental value of a property, regulating forms of new construction, or imposing land-use regulations, zoning, historic preservation, and environmental rules, the result is higher housing costs and often lower-quality housing for the low end of the income distribution. The effects of some of these policies are discussed by Randall O’Toole in “Bringing Soviet Planning To New York City“. Wendell Cox notes that progressive cities are home to the worst inequality of housing opportunities for blacks and hispanics. The Cox piece is a bit dry, but it is instructive. These are results that reinforce the alienation described in the “Which America?” post linked above. Allowing government to prescribe the appropriate matching of individuals to roles based on racial or identity group status is divisive and counter-productive. This is so-called affirmative action. Decisions based not on merit, but on skin color or membership in favored identity groups are discriminatory by their very nature. Members of non-favored groups, including non-favored minorities such as asians, are penalized, despite their lack of any connection to the injustices of the past. Human capital is a scarce resource, which is why merit has value. So group preferences in hiring involve tradeoffs, subverting goals such as productivity, profit and expense control. This inflicts a cost on society as a whole. In college admissions, affirmative action often compromises learning. This article on affirmative action at universities emphasizes the “mismatch hypothesis”, which asserts that individuals with lesser academic credentials who are placed as a consequence of preference programs often “suffer academically as a result”. The damage includes higher dropout rates among minorities and generally less learning than if these individuals had studied with peers having more similar credentials. A further implication is that these individuals probably experience less career success. In fact, an under-qualified employee’s job performance might permanently damage his or her career prospects. There may be other consequences of group preferences such as stigmatization and alienation of individuals within the academic community or workplace. Whether the topic is better housing, improved educational and economic prospects, trade, drugs, technology, or any other human endeavor, the best solutions do not involve decisions imposed by government coercion. Instead, allowing individuals to interact freely, gaining valuable employment experience and access to the bounty of markets, fosters organic gains in opportunities. Individual liberties and equality before the law are the real keys to broader success. The visible, iron hand of the state tends to diminish the supply of affordable housing. Forced quotas in hiring and academic admissions often harm their intended beneficiaries and poison the social environment. When placement decisions are in the hands of public institutions like state universities, it is in the best interests of both schools and students to make those decisions based on academic credentials. Opportunities for higher education will improve only with advances at lower levels of education, which requires parental choice rather than a collection of unresponsive mini-monopolies. In addition, higher education should lose it’s cachet as an elixir for economic prospects. Many individuals, regardless of group identity, would optimize their careers through vocational skills and entering the workforce to gain experience at an earlier age than the typical university graduate. 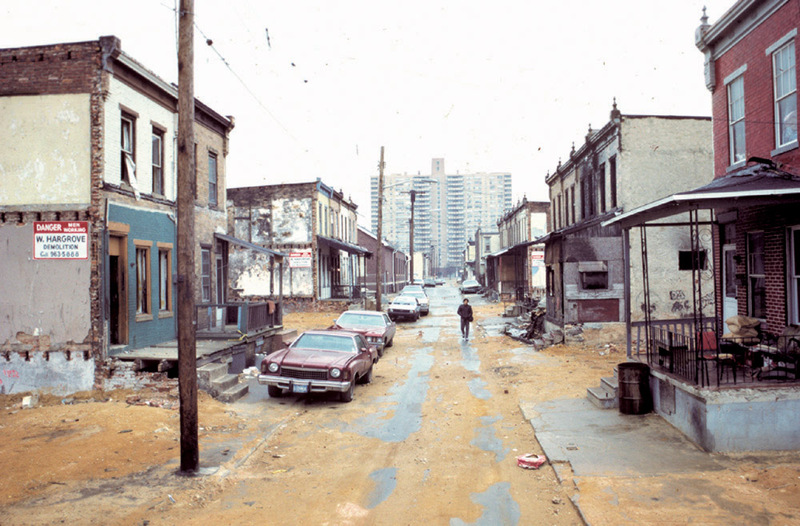 Drug prohibition and the war on drugs are destructive policies and most burdensome to communities that can least afford it: impoverished and often minority neighborhoods. Drug laws and their enforcement likely account for the bulk of homicides that occur there, directly or indirectly. A post on SacredCowChips last week discussed the violence that frequently beleaguers communities that are home to unassimilated minorities. Drug prohibition compounds the tragedy in several ways: deadly rivalry among supplier organizations; violent confrontations with law enforcement; user criminality; drug-related incarceration; degraded user productivity; and tainted supplies that exacerbate health risks for users. Prohibition, however, delivers the drug trade into the hands of gangs and mobsters. The supply side of the business attracts individuals having few legitimate market opportunities, who happen to be concentrated in economically depressed neighborhoods. The drug trade’s illegality transforms it into a risky and violent enterprise, and efforts to enforce prohibition magnify those dangers and expose law enforcement to great risk as well. Then, there are the effects of mass incarceration on individuals and their home communities. The situation is self-reinforcing, adding to the instability of these struggling areas. Despite the destructive effects of prohibition, a great many Americans—and politicians—base their opinions about drug laws on flawed moral reasoning that somehow it is more “wrong” or more “dangerous” to do drugs than to drink alcohol, itself a drug posing great danger to abusers, but a legal one. Responsible drug use, like responsible drinking, is a victimless act, or would be without the engagement of underworld suppliers. But it’s clear that President Donald Trump and Attorney General Jeff Sessions are committed to a continuation of the failed drug war, as are a majority of both Democrats and Republicans in Congress. The drug-related killings will continue, as will the ongoing damage to so many American families and communities. 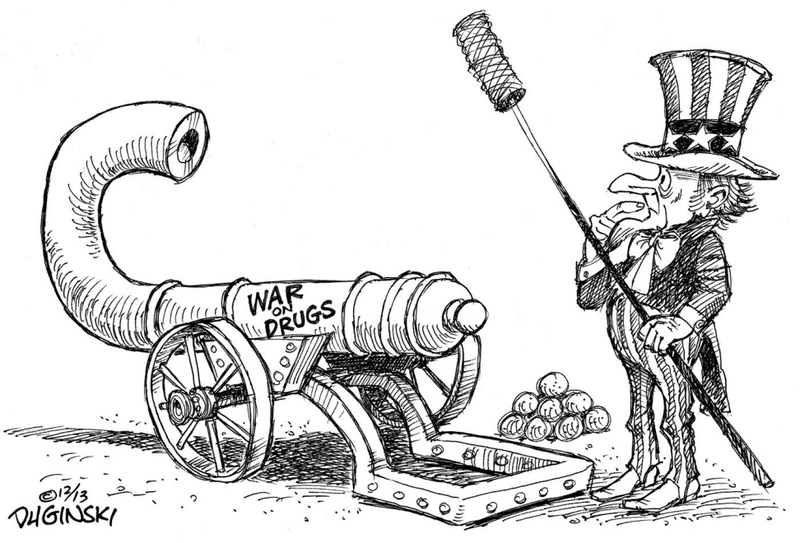 The refusal to end the drug war is a tragedy of many tragedies past and future. American Homicide Rates: Which America? A heterogenious society and the successful assimilation of minorities are two very different things, as much as we might wish otherwise. Two populations within a region will come into contact, but conditions promoting real assimilation are complex. (I’m avoiding use of the term “diversity” because it has come to imply the successful assimilation of distinct groups.) While cultural differences can enrich the lives of both populations, sharp economic gaps between minority and majority populations (and even some cultural differences) will tend to slow the process of assimilation. This is often associated with social dysfunction, such as high crime and homicide rates, especially among the minority group. This is a fairly common phenomenon in countries with racial and ethnic minority or immigrant populations, as Ryan McMaken writes in a recent piece on international differences in heterogeneity and homicide rates. “… when considering the Americas, … nation-states are in most cases frontier states with populations heavily affected by immigration, a history of conflict with indigenous populations, and institutionalized chattel slavery that lasted until the 19th century. The factors are significant through the region, and the United States cannot be held apart in this regard from the Caribbean, Brazil, Colombia, and other states impacted by all these factors. McMaken cites research involving ethnic minority populations of Slavs in Germany, Italians in Argentina and the U.S., and Arabs in Europe, all of whom had crime rates far exceeding those in their countries of origin. The connection between heterogeneity and crime might have nothing to do with particular ethnic groups, though it seems all too easy for observers within individual countries to blame specific “others” for crime. It is a symptom of alienation from the majority as well as economic desperation and vulnerability to opportunities and threats arising from the underground economy. Illegal activities might truly provide the best alternatives available to low-skilled, minority job seekers. Needless to say, underground economic activity, such as the drug trade, involves high risk and often violence among users and between competing factions. This is an important source of the high crime and victimization that typifies many minority communities. Despite declines since the 1970s, the U.S. still has a higher homicide rate than many other industrialized countries. Beyond the weakness cited above, such comparisons fail to control for other confounding effects, including the degree of heterogeneity across countries. Heterogeneity poses a problem in the context of involuntary and often voluntary segregation of sub-cultures. If you don’t believe the “voluntary” part, take a close look at the different clusters of individuals in the cafeteria at almost any “diverse” university or corporate office. Judge for yourself. Differences in language, fertility, demographics, religion and cultural traditions may be noteworthy, but where crime is associated with effectively segregated minorities, there is usually a gap in economic status and mobility relative to society at large. What policies can mitigate these conditions and their impact on crime? It would be nice to approach this question strictly from the perspective that heterogeneity is a given, but the degree of heterogeneity is, to some extent, an endogenous outcome. Restrictive immigration policies might leap to mind as a way of restraining heterogeneity, and there is little doubt that illegal immigrants are less likely to assimilate (many contend that their crime rate is low). Policies allowing less restricted flows of legal immigrants tend to be salutary if they are based on domestic economic need, economic potential, or compassion for those seeking asylum or a haven from political oppression. A legal immigrant receiving a welcome on new shores is more likely to assimilate successfully than an illegal immigrant, all else equal. Citizenship and language education are avenues through which assimilation might be encouraged. And there could be ways to improve sponsorships and even temporary visa programs so as to encourage assimilation. What can be done to encourage more effective assimilation of all minorities? And what can be done to reduce the crime associated with unassimilated populations? One major corrective is a strong economy. Policies that encourage economic growth will lead to greater participation in markets and society, with consequent interaction and mixing of sub-cultures. Growth policies include low and non-distortionary taxes and light regulation. The war on drugs also accounts for a major share of homicides, and that war interacts with non-assimilation in perverse ways. It is crippling to disadvantaged communities precisely because it creates risky “opportunities” in the underground economy. It also produces high levels of incarceration and dangerous forms of “cut” contraband. As I’ll discuss in my next post, ending the war on drugs would reduce violent crime and lead to safer drugs in relatively short order. A short list of other policies that would foster assimilation and economic mobility would include: improved education: school choice and apprenticeship programs; better labor market outcomes: reduce the minimum wage or create sub-minimum wage categories to enhance opportunities to gain experience and skills; better housing: eliminate rent controls. Assimilation is always more effective when it occurs “organically”. Affirmative action and forced diversity initiatives often fail to achieve effective assimilation. 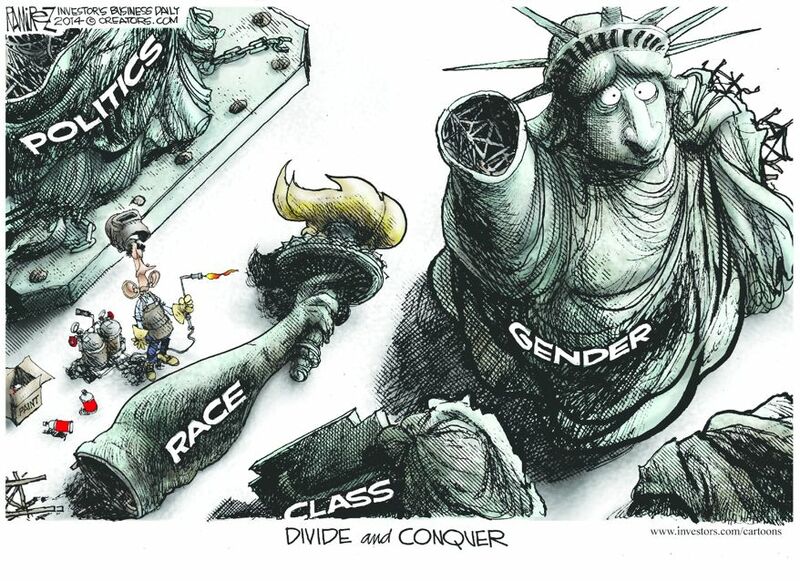 Beyond the obvious infringement on liberty, these policies may sow resentment among those who suffer reverse discrimination, and among those who witness it, to the probable detriment of efforts to eliminate bias. Even worse, these policies often put their intended beneficiaries into vulnerable, un-winnable situations: jobs or programs for which their skills are not adequate. There are undoubtedly excellent candidates among those placed in positions under quotas, but there is a likelihood that many will be unsuccessful in their roles. Bump Stock Prohibition: A Mere Inconvenience? Today’s news was full of speculation that a consensus is developing to ban the sale of so-called “bump stocks” of the kind used by Stephan Paddock, the perpetrator of last Sunday’s Las Vegas massacre. These are accessories that allow a semi-automatic rifle or pistol to be fired in a way that mimics a fully-automatic weapon, albeit less than perfectly. Today, even the National Rifle Association (NRA) stated its support for a regulatory review of bump stocks by the Bureau of Alcohol, Tobacco and Firearms. The idea was also endorsed, more or less, by conservative writer Jonah Goldberg earlier this week in an article called “Slow Down and Think“, which was otherwise focused on the unfortunate tendency of the Left to politicize the tragedy in Las Vegas. As I’ll explain below, a bump-stock ban would be a largely symbolic concession. It would represent something of an inconvenience to gun enthusiasts; like most gun control proposals, it would have approximately zero impact on the likelihood and severity of gun violence and even mass killings in the future. It should be noted that the trade of certain (pre-1986) fully-automatic weapons is not outlawed, though it is heavily regulated and very costly. In addition to bump stocks, Goldberg is favorably disposed to changes in gun laws that would prohibit the sale of kits enabling the actual conversion of semi-automatic to fully-automatic firearms. Currently it is legal to do so. It’s not really that easy for an individual without expertise to make such a conversion, however. A poorly done job is unlikely to be durable, if it works at all. A semi-automatic equipped with a bump stock might not be very durable either, since a semi-automatic itself is not really built to fire continuously or near-continuously. Another issue addressed at the last link is that fully-automatic weapons, when hand-held, are not terribly accurate when engaged in firing more than a few rounds at a time. Bump firing a semi-automatic, with or without a bump stock, is even less accurate. But this might have suited Stephan Paddock just fine. If he planned to target the jet fuel tanks near the outdoor venue, then the accurate targeting of a small area on a tank with repeat-fire might have helped him achieve an even more horrific objective. But if he simply planned to spray bullets into the large crowd, the degree of accuracy was less important than the number of rounds he could fire. Nevertheless, banning the sale of bump stocks won’t stop anyone determined to rapid-fire a gun, innocently or otherwise. 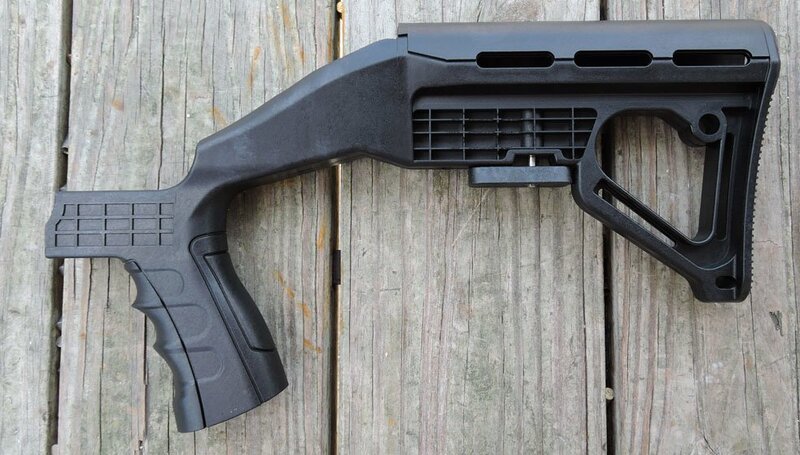 First, apparently a bump stock can be 3D-printed with relative ease. Beyond that, “bump firing” is a rapid-fire technique that can be performed without a bump stock, though a bump stock makes it easier. Gun enthusiasts and hobbyists sometimes desire the thrill of firing something that feels like a fully-automatic weapon. Try it sometime, they say, under appropriate supervision! Some gun owners might like to have rapid-fire capability as extra protection against violent intruders on their property, human or animal, the advent of tyranny, or a violent breakdown of civil order. That gun-control advocates would scoff at these notions surely belies their shallow knowledge of history, or perhaps it really underscores the legitimacy of concerns that go to the very heart of the Second Amendment. I cannot endorse the proposal to ban bump stocks. I understand the rationale offered by Goldberg and the NRA’s apparent flexibility on bump-stock regulation, but my view is that steps to outlaw conversions, like gun laws in general, will be ineffective in stopping determined killers. In the end, it amounts to an additional intrusion on private behavior without any real benefit, and the symbolism of such a concession does not help the cause of defending the Second Amendment. In general, legal guns promote public safety via deterrence and the many reported and unreported defensive gun uses (DGUs) that occur every day (see here and here). In general, I’m aligned with the view expressed this week by Nick Gillespie in “This Is the Time To Defend the Second Amendment and Less-Strict Gun Control“. differences in energy density weigh heavily in favor of fuel-burning vehicles. the so-called miles-per-gallon equivalent (MPGe) calculated by the U.S. Environmental Protection Agency (EPA) is a sham. Meyer qualifies this comparison, as some of his assumptions are of the “best outcome” variety, but contrary to Schmidt’s assertion, gasoline and electric engines are reasonably comparable in terms of energy efficiency. Some contend, however, that power losses in electricity transmission are much larger than the 10% Meyer assumes (see the comments on his post). Battery charging involves a loss of perhaps 20%. And a replacement for a Tesla battery, post 8-year warranty, is $8,000 – $12,000, an additional storage “cost” that is virtually non-existent for gas-powered vehicles. Beyond a certain point in its life, that cost will have an impact on a Tesla’s resale value. 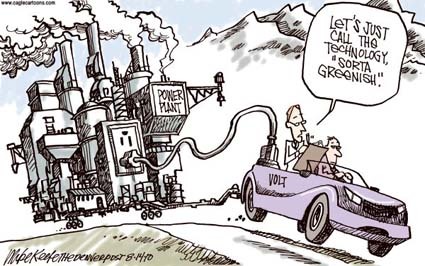 Moreover, some contend that the production of electric vehicles is more energy-intensive, putting them in an energy efficiency hole right from the get-go. Meyer notes in the Forbes article that the EPA calculates its MPG conversion factor for electric vehicles by dividing BTU’s in a gallon of gas by the BTUs in a kilowatt hour: 33.7 KwH per gallon. Thus, the EPA multiplies an electric car’s miles per KwH by 33.7 to arrive at the so-called MPG equivalent: MPGe. But as we’ve seen above, the conversion factor ignores the generation and transmission of electricity required at the front end, and the associated energy losses that occur before a single KwH is released by a Tesla battery. Despite what we hear from the EPA, Tesla, and other interests today, electric cars have not really overcome these disadvantages, at least not yet. The EPA’s MPGe estimates are vastly inflated. Perhaps if they were accurate, these vehicles would not have to rely so heavily on taxpayer subsidies to be competitive. By extension, the presumed environmental benefits of electric cars are nonexistent at this stage of development. I’m certain that Eric Schmidt and many other smart people are capable of understanding these nuances, but they might be too busy tripping over their politics to bother.